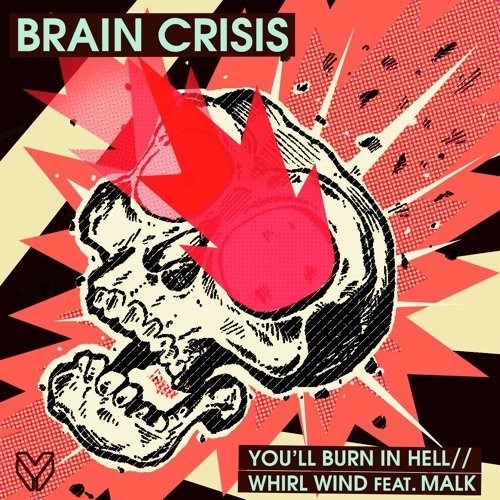 Dutch label Major League DNB drop the goods on our latest exclusive as Brain Crisis & Malk join forces in the studio for the formidable Whirl Wind. The influence of seminal 00s neurofunk from the likes of Black Sun Empire shines through on the haunting melody of the intro before the track gives way to a vicious bass drop; dancefloor destruction guaranteed! Look for this dropping at all good digital stores from July 17th. Sunchase & Nickbee bring the fire for the third release on their 22:22 imprint! First up Teddy Killerz & Malk are let loose on Moving Shadow classic As We Look for a belting new remix which amps things up a bit while retaining the spirit of the original. Over on the flip the pair deliver a nicely off-kilter grimey stepper in the form of Proper Things which moves seamlessly between full and half-step beats. As a celebration of the release 22:22 have kindly given away their Proper Harder Things refix of the B side which delivers exactly what you’d expect from the title; beats and bass have both been beefed up to the max to deliver a total smasher! Check it out below and grab a free download, and grab the full release from your favourite digital store now!